Have you ever worn a yukata? This is a casual summer dress in Japan. The fan of which the couple are having (photo above) is called uchiwa, which is cool, eco-friendly, fashionable summer fan. 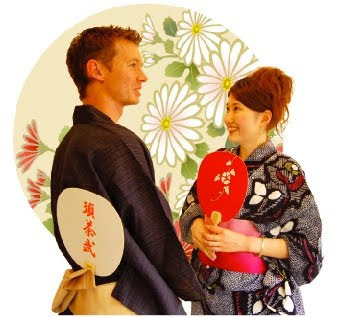 Yukata together with uchiwa is the symbolic summer dress. 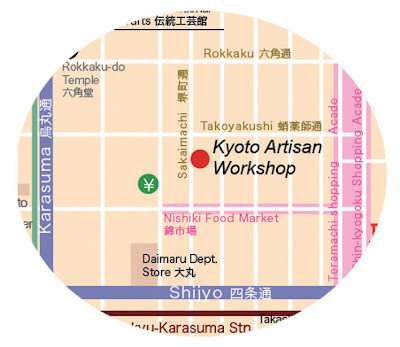 journal Kyoto offers you the event as the workshop of uchiwa painting and dressing up yukata in the middle of Gion-Matsuri Festival. This is a good chance to have yukata and uchiwa, and to share the cultural evening with Japanese people and other travelers. journal Kyoto French issue & Spanish issue!